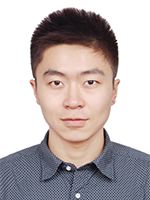 Xiawei Liao is a DPhil candidate at the Environment Change Institute at the University of Oxford, and a Research Assistant in the Sustainable Finance Programme at the Smith School of Enterprise and the Environment. He holds a MSc (distinction) in Environmental Science from Peking University and a MSc (distinction) in Environmental Policy from Waseda University, Japan. He is currently researching into the water-energy nexus in China's power sector.